GFB’s Short Shift kits are like no other. Until you feel the action of one for yourself, you won’t believe the difference! 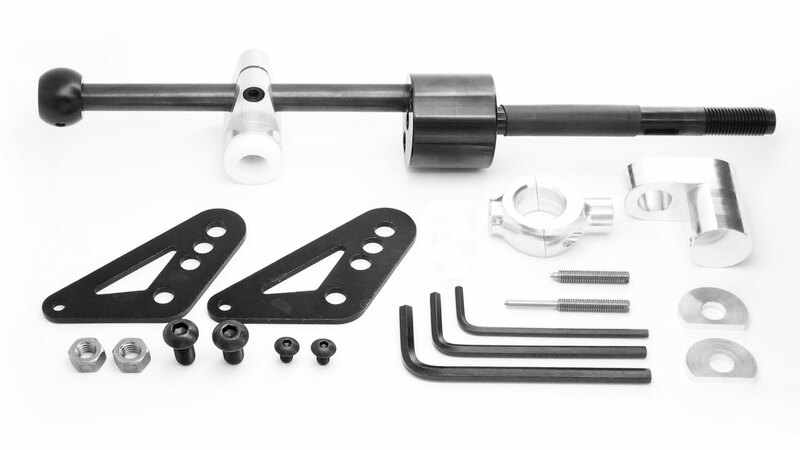 True to our philosophy of Performance Without Compromise, GFB’s Short Shift Kits are designed with a unique linkage system that means the shift throw is fully adjustable whilst retaining the stock gearstick height and requiring NO modifications to the transmission tunnel. That means you can simply bolt one on, adjust it the way you want it, and get a positive and direct “race car” shift feel! We’ve also made the installation as easy as possible. 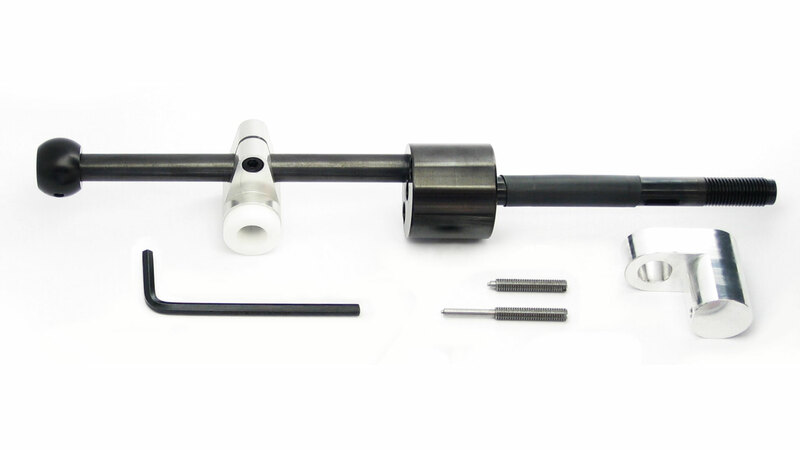 Our 6-speed Subaru kits include a specially designed pin removal tool for the reverse cable. Suffice to say, you’ll appreciate what a great touch this is when you install the kit. How much is the throw reduced? How hard are these units to install? Very simple. All of the installation is done from inside the car, without having to jack it up and crawl around underneath. 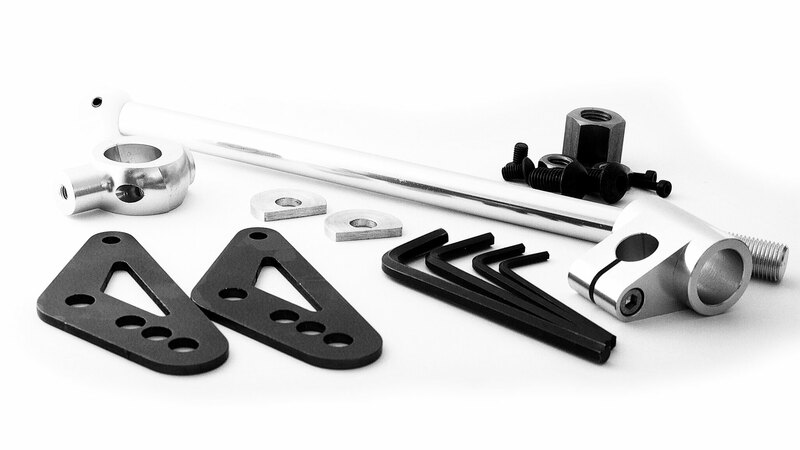 Only a few basic hand tools are required, and the necessary hex keys are supplied. 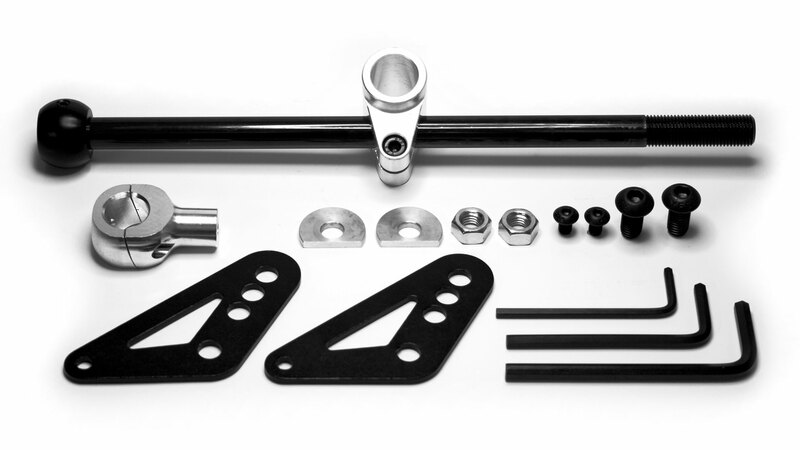 How much lower is a GFB shifter than the factory one? The GFB Short Shifter is the same height as the factory shifter, it is the actual distance that the gear stick moves between gears that is reduced. 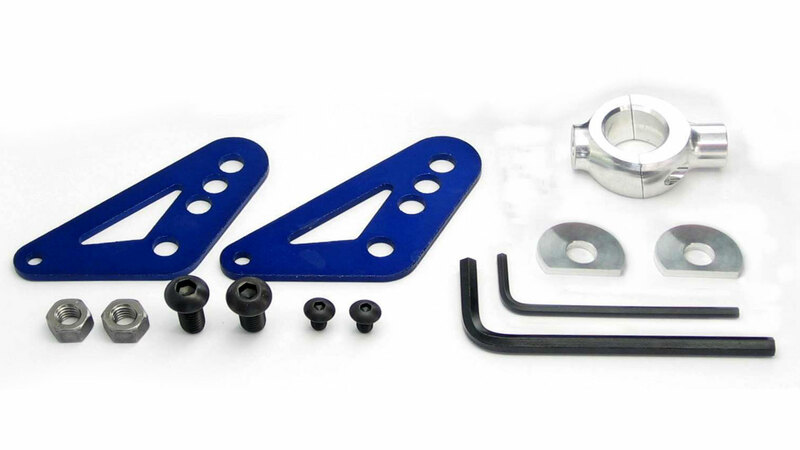 Will a Short-Shift kit damage my gearbox? We've heard this concern many times, often from 'internet experts', and surprisingly even from so-called 'performance mechanics'. Read on, and you can smile to yourself knowing that when someone claims to have damaged their gearbox because of a short shifter, it's more likely they are in fact a sloppy driver. Here's the hard truth - a gearstick is simply a lever, connecting the driver's hand to the gearbox. Any wear or damage is proportional only to the way in which it is used (or abused! ), no if's, but's or maybe's about it. If you shift hard and fast (or time the clutch poorly), the synchros will wear out faster regardless of what type of shifter you have. The GFB Short Shifter reduces the travel of the gearstick - if you reduce the throw by 20%, there is a 20% increase in the effort required to shift gears - this is the very basic principle of levers. Whilst this increase in shift effort may give the feeling that you are stressing the ‘box more by having to push the stick harder, you are in fact exerting the same shifting force to the gearbox. Additionally, the reduced throw may falsely lead the unsympathetic driver to believe faster shifts can be performed - you can only shift as fast as the synchros will allow.